A conference titled “200 Years in St. Segius Monastery. The Cooperation Between Spiritual and Secular Education in Russia on the Example of the Moscow Theological Academy from the Beginning of the Nineteenth Century to the Present Day” is to take place in the Moscow Theological Academy on October 14-16. Each participant should deliver their reports in twenty minutes, however, if arguments occur, it should take no more than ten minutes. Two anniversaries will take place in 2014, which are essential to the modern Orthodox Christianity, the Russian Orthodox Church, and the whole country. These events are the 700th anniversary of the birth of the Very Venerable, St. Sergius of Radonezh (1314-2014), Founder of the Holy Trinity – St. Sergius Lavra, and the 200th anniversary of the Moscow Theological Academy’s transference to the Lavra premises (1814-2014), which is the leading higher educational institution of the Russian Orthodox Church. 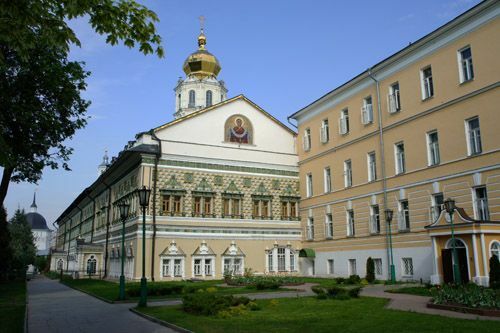 The Moscow Theological Academy is the first higher educational institution of Russia which was founded by the Likhuds brothers, Ioanniky and Sofrony, as a Slavic, Greek, and Latin Academy in Moscow in 1685. The transference of the academy from Moscow to the Lavra premises occurred in 1814, which was associated with various historical events and became a milestone in the life of both the academy and the whole Russian education. Inside this ‘St. Sergius’ Large Cell’ the academy was put in especially favorable conditions for both spiritual growth of teachers and students and its development into the leading scientific and theological center of Russia.